Laid up in the desert, this boat is built for serious ocean travels. 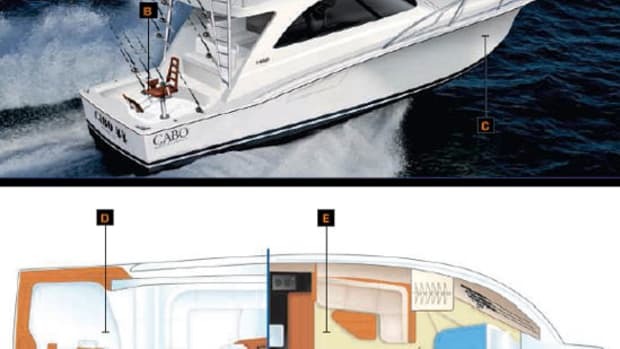 The new Cabo Yachts 52 Flybridge (FB) and last year’s Cabo 52 Express may share the same Divinycell-cored hull and 1,675-hp Caterpillar C32s in their engine rooms, but that’s about it. 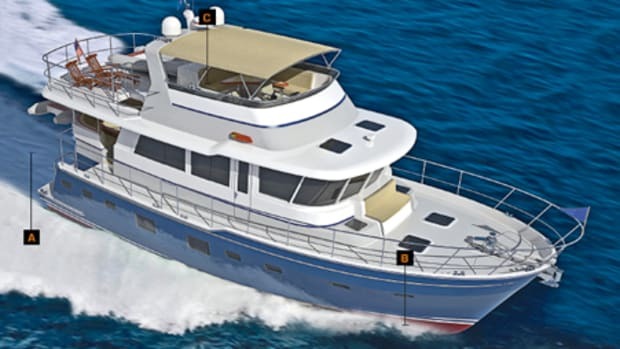 From her Pipewelder’s tower to her saloon, the 52 FB is both a new and well-thought-out addition to the Cabo line. 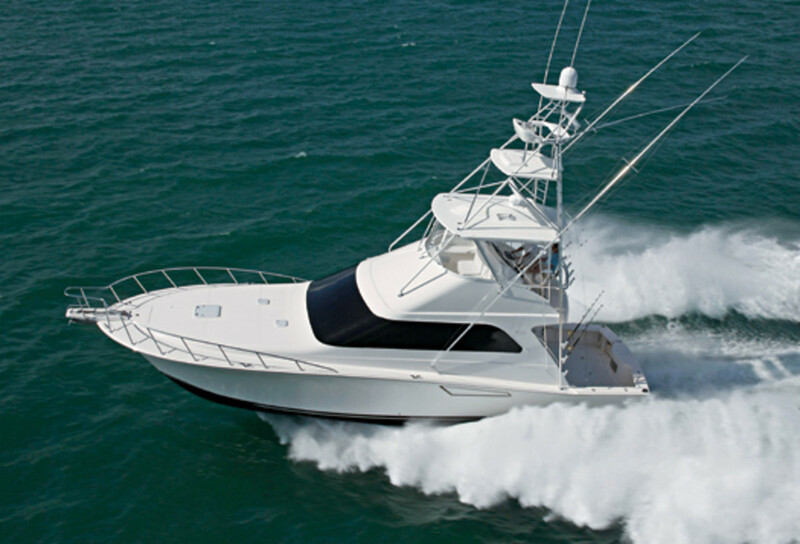 “There’s no difference in quality between [our] 30-footers and the 52,” says Cabo representative Capt. Tripper Vincent. 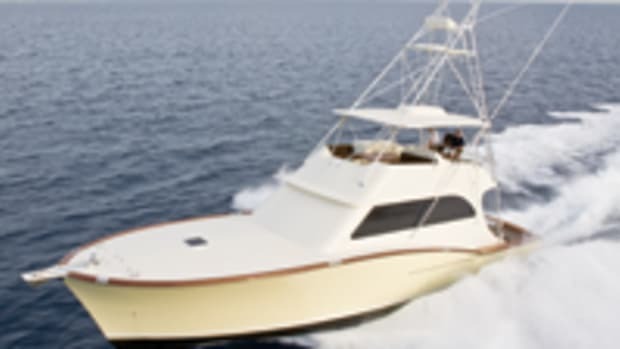 In fact the builder has earned a reputation for making rock-solid sportfishermen by staying true to its construction methods. The boats are built 40 miles from the Pacific in the high desert of Adelanto, California. According to Vincent, the dry climate means less ambient humidity, which he believes is one reason why he’s never seen a blister or delamination since the company’s inception in 1991. Moreover, after spraying gelcoat into the mold, workers hand-lay only one layer of biaxial E-glass per day, ensuring proper curing. 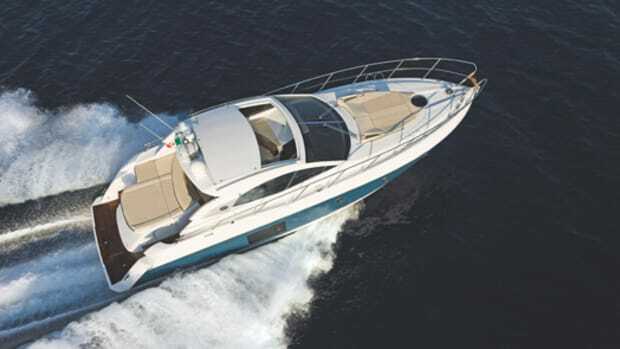 Vinylester resin, which creates a stronger bond than polyester, is employed in the hull and the superstructure as well. In order to get Hull No. 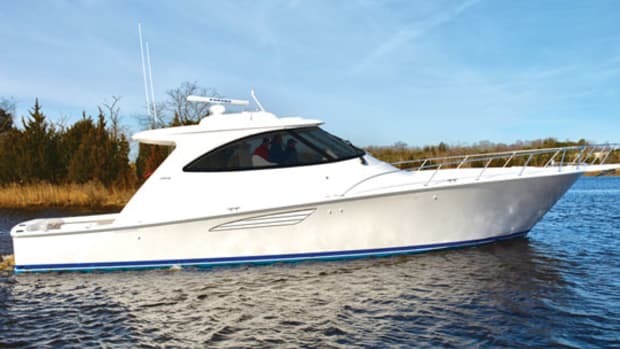 1 of the 52 to her debut at this year’s Miami International Boat Show, Cabo shipped the hull and superstructure to Mobile, Alabama, where subcontractors fitted the two parts together and finished off the interior. Plumbing and wiring runs were added after the ‘glass components were bonded to each other to ensure that all maintenance points can easily be reached. Cabo then installed the 34x55 Veem Interceptor wheels, launched her, and took off for Panama City, Florida, with barely a test run. “That’s what you can do when you have confidence in your product,” Vincent remarks. Indeed, on the next leg from Panama City down to Clearwater, Florida, the crew reportedly encountered ten-foot following seas and temperatures as low as 9˚F. Even in this inclement weather, the 52 FB, running at 1850 rpm (56 percent load), averaged 32.5 knots and burned roughly 100 gph, according to Vincent. 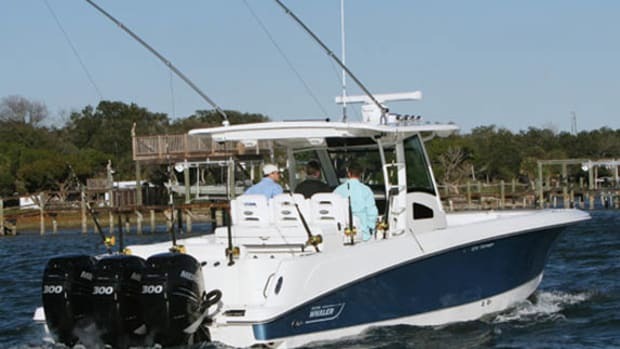 For fishermen who plan on going 150- miles to the canyons, this kind of performance is definitely promising, as are the 75-gallon in-transom recirculating livewell (with see-through panel to check on the bait), twin 100-gallon fishboxes, and mezzanine seating. 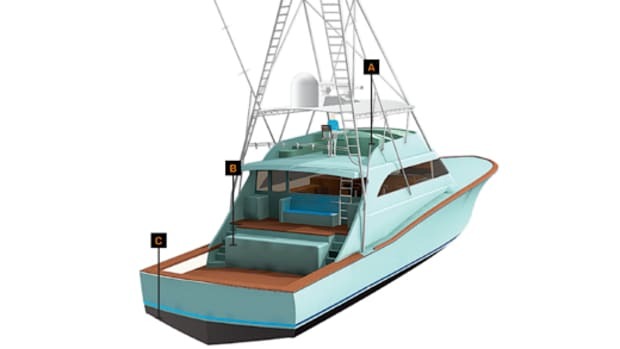 Inside, the dedication to creating a serious fishing machine continues with rod stowage under the master and VIP berths, below the galley sole, and in a compartment behind the galley cabinetry. There’s even a locker at the foot of the stairs that’s devoted to rod stowage, complete with a glass door and backlit acrylic sole to showcase your rods. You could convert this to a pantry or stowage closet, but then if that sort of thing appeals to you, you’re probably not in the market for a Cabo anyway. 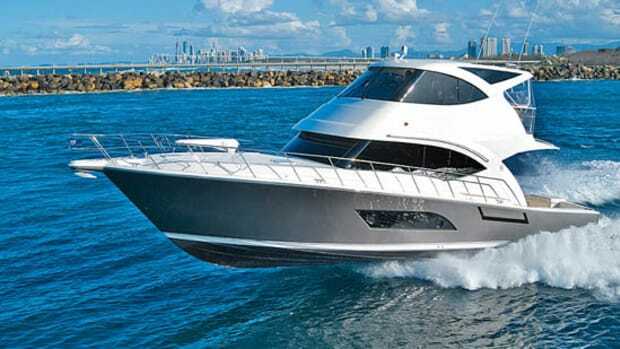 This article originally appeared in the June 2009 issue of Power & Motoryacht magazine.